- 4m x 4.7m in size! professionals pay a share per month per room. Students are exempt. European students (most common). However, occasionally there are foreign or young UK professionals in the mix as well. 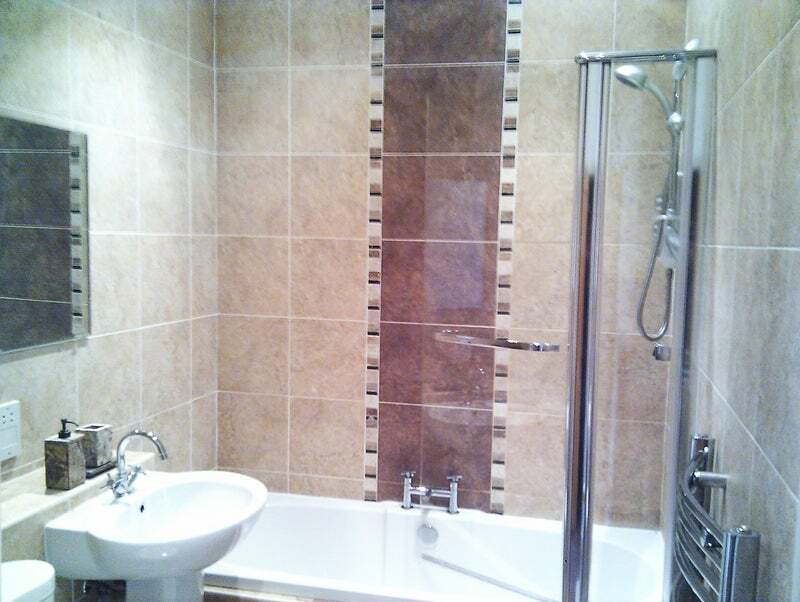 Decorated to high standard with, modern and stylish bathroom, and fully fitted kitchen. Situated 2 minutes from subway station for easy access around Glasgow, the city center, all 3 major universities, and the West End. - Newly decorated and refurbished flat with modern luxury bathroom, and separate kitchen. 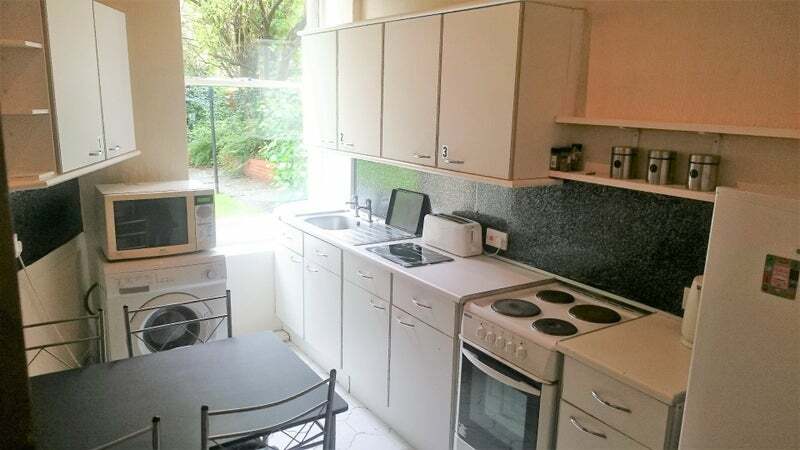 - Kitchen fitted with large standing fridge/frezzer, electric cooker with oven, multi-function washing machine, dining table with 4 chairs, modern and well decorated. - Secure entry with intercom. 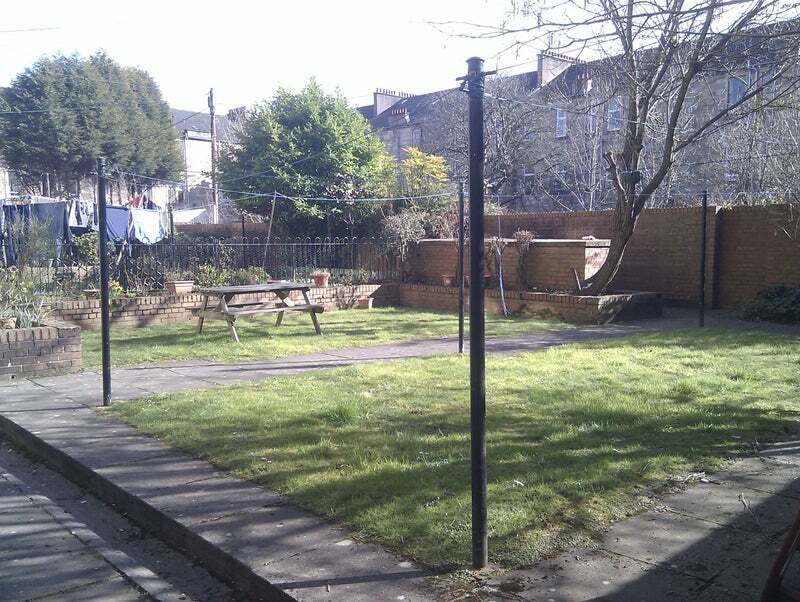 - Good sized back courtyard & professionally maintained garden with picnic bench and washing lines. - Periodic cleaning and maintenance of common areas outside the flat, all included. - On-street parking always available. - A utilities excess applies from November to February to cover higher cost of bills. Just over 2 minutes from Ibrox subway & only 2/3 stops from West End. Great for City Center and all Universities (each 5 min walk from a subway stop) 5 mins walk from Paisley Road West & at least 10 major bus routes inc. No's 9, 54, and 56 for Paisley, Silverburn & Cardonald College. 1 min walk from Arriva bus stop & No. 23 into City Center, Braehead shopping center, Southern General Hospital / Queen Elizabeth University Hospital. Local convenience stores 1 min walk, 2 minutes from G51 postal depot (surprisingly handy!). 2 mins walk from Film City Glasgow, 6/7 mins walk from Digital Media Quarter. 15 mins walk from The Quay leisure and entertainment park with cinema, bowling, casino, bingo and many different restaurants. Easy quick access to the motorways 2 minutes drive from M8 junction 24 and 4/5 minute drive to M77 junction 1.